Personal Guarantee Liability For Business Loan Includes Bankruptcy? 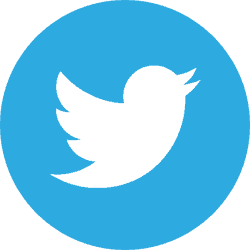 Home Blog Posts Personal Guarantee Liability For Business Loan Includes Bankruptcy? There are countless reasons why SME owners would apply for a business loan. It may be because you want to take advantage of a business opportunity that rarely comes by and you have to grab that chance. You may also need emergency funds to bail you out of a potential cash flow problem. It’s also possible that your business plans dictate that you have to upgrade your systems now before you’re taken over by competitors or technology disruption. You got a loan. What now? Qualifying for a business loan in Singapore is no easy feat due to stringent credit criteria here. Don’t rest on your laurels now that you have secured financing approval from the banks. It’s not the end of the challenge. In fact, you are facing another hurdle – paying back that loan. You may have gotten a business term loan and your loan installments are comfortably spread over a few years. Smaller installment amounts are of course easier to pay. Still, you are indebted and you must diligently pay both the principal and the interest up until the end of the term. Unlike equity financing, debt financing means the business owner have to bear liability on the funding. You know that running an enterprise is like sailing the seas. Sometimes you get into a storm and you have to be prepared for a rough ride at sea. There are every day “storms” that could pose a challenge. For instance, when a major customer fails to pay you on time, it disrupts the timing of cash inflow to your business. Significant increases in import taxes on materials you use for a major product affect your costs. Sales can be affected by a bigger competitor who’s locating across your establishment. The everyday “storms” could affect your otherwise, healthy cash flow position and could lead you to miss some monthly payments. Missed payments could result in penalty charges. Late payment penalty is often a related loan fee and charge that most SME owners omit to look out for. Different banks and financial institutions have different ways to classify a loan default event. Your loan contract specifies which conditions or acts constitute a default. While different creditors may have slightly different takes on classifying a default event (at the first instance or, after a series of nonpayment), what is certain is that they all charge penalties for nonpayment. In general, most banks would classify a borrower whom is behind payment by 90 days or more as a serious event of default. Your creditor will send you a notice once you are in default (based on the provisions of the loan contract). The first notice will likely be a short reminder that you were remiss on your payments and urging you to settle your past dues including late payment charges. The second and subsequent notices will most likely be the same but with a firm directive to settle your obligations, probably a reminder about the consequences of default and possible legal actions against you if you still fail to remit payments. When’s the right time to discuss the problem? Talk to your loan officer right away. Don’t wait for these notices to come to you. Don’t let late payment charges and interest accumulate. Addressing a problem upfront reflects that you are a responsible and proactive borrower. Discuss your problems with your bank’s loan officer. He/she will discuss with you a plan of action which could bring your loan account back to “current” status. Options may include restructuring of your loan but be prepared to pay a significant portion of your past due obligation before he could recommend any restructuring and account re-computation. The repercussion of default isn’t only about the burden of having to pay for penalties. It also hurts your personal credit rating. There are agencies such as Credit Bureau (Singapore) Pte Ltd which maintain and publish info about borrower’s credit profile, particularly an individual’s ability to pay and incidences of loan default. They assign a credit rating for each borrower. Once you default, it will impact on your credit rating and this will further impact on your chances of getting a loan in the future. One of the lender’s options, in this case, is to foreclose on the asset you have mortgaged or assigned as security for the loan. So if your loan is secured by real estate property, machinery/equipment, accounts receivable, or a bank account, expect your lender to recover the default amount (including interest and penalties) through these mortgaged assets which is common in asset based lending. The security documents as well as the loan contract you signed bear the provisions about what’s to be done in the event of a default and foreclosure. For example, if your loan is secured by a real estate mortgage, the lender has the right to foreclose on this property. Eventually, the lender will sell the property to recover the loan amount outstanding. Excess cash from the sale goes to the borrower provided there are no other liens on the property. What happens if the loan you obtained is unsecured? An unsecured SME loan is typically backed by your personal guarantee. Depending on the type of personal guarantee the bank imposed (usually an ‘all monies guarantee’), the bank might have the right to lay claim on all your personal assets to discharge your loan outstanding. What’s the impact of a personal guarantee on a business loan? A personal guarantee doesn’t create a lien on a specific asset owned by the business. Instead, it allows the creditor to take over any of your personal assets. The creditor will claim every asset you own until he has fully recovered the balance you owed. Generally, there are two types of personal guarantee. If you opted for an unlimited personal guarantee in favor of your lender, the lender may fully recover the debt in question including related costs by taking over the assets you own. Therefore, the creditor claim after your retirement fund, your car, home, even your children’s educational fund until the balance (and related costs) is settled. On the other hand, a limited personal guarantee suggests that the lender can claim after your assets up to the amount you have both agreed upon in the guarantee documents. There is a ceiling or a cap on a number of assets the borrower can claim. Most banks will require the key directors or major shareholders to furnish personal guarantee with the liability capped at the principal amount of unsecured business loan extended. There are some assets such as CPF balances and HDB flat that banks are not able to foreclose even with personal guarantees. If the guarantors are not able to furnish any personal assets that can offset the outstanding business loans outstanding, the banks might in the worst case scenario proceed with bankruptcy proceedings against the guarantors. Based on Ministry of Law’s statistics, the number of applications for bankruptcy is increasing every year from 2014 to 2017. However, the number of bankruptcy orders made reversed the trend in 2017, decreasing from 1797 in year 2016 to 1638. This might be due to the new Debt Repayment Scheme introduced in 2017 as well as the debt consolidation plan offered by banks which are viable alternatives to bankruptcy. However, the number of applications for bankruptcy continued to rise from 2014 to 2017. 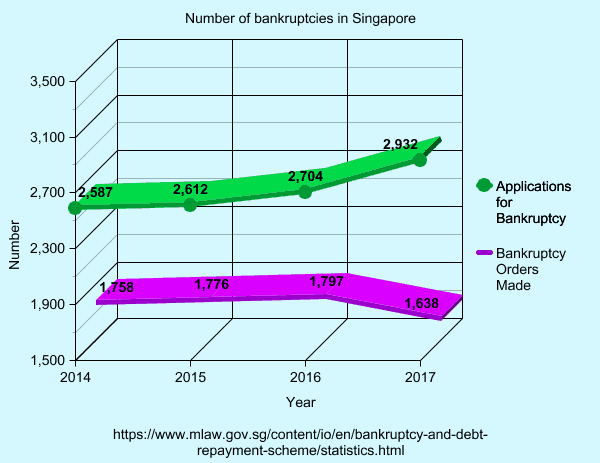 There are no detailed statistics on the actual reasons for bankruptcy applications, but according to this Straits Times article, CCS (Credit Counselling Singapore) cited that about 22% of debtors mentioned business troubles as key reason for filing bankruptcy. If you have other partners in the business, all other partners will usually have to furnish their personal guarantees for unsecured business loans. In the event if there’s more than one guarantor to a business loan, the joint and several guarantee executed by all guarantors will bind all legally liable for the outstanding business loan in the event of a company default. Some business owners misunderstand that if there are 2 directors in a company and both furnished their personal guarantees to a company loan, the liability of the loan is shared equally between both guarantors. This is not the case as your business partner could affect your financing as well as extent of liability. In a joint and several guarantee agreement, the bank reserves the legal right to claim against any one of the guarantor for the full amount of the loan outstanding in the event of company’s default. Don’t bite more than you can chew. Run through the figures again to make sure you don’t accept a much bigger loan then what you require, especially when you’re applying for multiple banks loans concurrently. Prioritize payment of your debts. Put off unnecessary purchases for your business. Your debts should come first and your goal is to promptly settle all loan payments due to protect your credit grading. Call your creditor right away if you foresee you’ll be missing payments in a month or two. By doing so, he may work out an extension and this will save you penalties which could disrupt your cash flow. Before throwing in the towel, do not give up communicating and negotiating with your creditors. This is a painful process but do try your best to propose some workable repayment proposals that can all parties can agree to. Obtaining a corporate loan isn’t bad per se especially if your business will can reap a higher ROI with the funding amount over the interest paid. But do remember that when you default on your payments, there’s always the risk of damaging your credit rating and in the worst case scenario, facing possibility of an impending bankruptcy. Are banks open to negotiations such as restructuring of corporate loans when this happens? When i foresee that i will have problems servicing the loans and contacted the banks, they will were willing to extent the loans up to maximum of 5 years (for BTL). When i signed for the loan i opted for a 4 years repayment period. However even under such a restructuring, i will have problems repaying as well. I am proposing a repayment figure about 60% of the monthly repayment period. Do banks make such considerations? Different banks have varying processes and guidelines on their credit collection and recovery. You can propose to the bank’s collection officer on the maximum monthly repayment amount you are able to service the loan. It might be useful to also present to the bank officer your current liabilities, cash flow and future source of income for loan repayment. 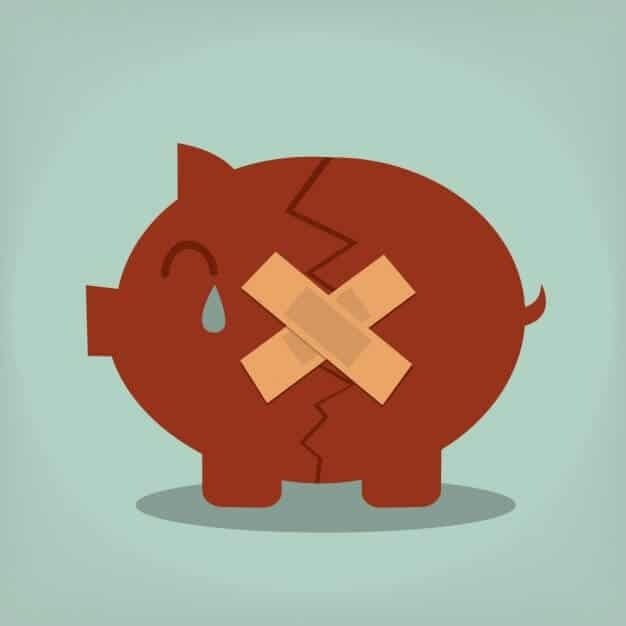 Ultimately, in the event of a unsecured business loan default, the banks do not want the borrower to be declared bankrupt with no available assets to repay the outstanding. Their main goal would still be recovering their principal loan amount outstanding with any applicable interest rather then having to write off the entire loan due to bankruptcy. This is a difficult situation to be in but the main focus now should be negotiating a reasonable payment term with the banks while trying to limit the damage to your credit standing. The bank actually called and said the best they are able to is to extend the loan period from 4 years to 5 years which technically does not reduce the the repayment by much. I have also tried to make appointment to meet up with them which the bank officer told me that they can’t arrange. Her advise is to wait if there is a pro-longed default and another department will take over and follow up on the payment. Is this the normal procedure? It seems that the bank is not keen to entertain any request to restructure the repayment at this point. Yes, what you have described is the normal procedure for the bigger banks. Under SME banking segment, as most major banks does not assign a dedicated RM (relationship manager) to every account, there is no specific bank officer you can talk to regarding loan restructuring requests. Most banks will usually trigger late payment risk in their system internally only after 60 to 90 days loan installment repayments are not received. Only after they trigger this internally will the account be transferred to another department, usually the credit collection department. From there, they will be a specific bank officer whom will engage the account holder on negotiation and payment restructuring requests. The irony when dealing with bigger banks is there is commonly no one to speak to when the borrower is trying to be responsible and inform them about possible issues and delay with repayments. That is due to their size and internal bureaucracy. It is good to keep whatever email or written correspondences you have on hand now and forward it to the assigned officer from the credit collection department if and when they finally get in touch with you. At least, you have proof that you have indeed made proactive efforts to inform the bank beforehand about your issues. Coming back to the same case, i have continuously made about 55% of the entire loan (2 different term loans) and almost on a weekly basis, someone from the bank will call to ask when i am able to pay the balance which i have repeatedly stated i am unable to. No one have asked for a meeting yet. Will the bank take legal action at this point? For the past 3 months i have consistency paid the amount that i have proposed (about 55% of the total amount from 2 BTL). Over this period a different bank officer has been calling me almost on a weekly basis and asked about the payment. I replied that i am unable to – and paying whatever i can in order to keep the business going. The last officer said if no full payment are made, the bank will take legal action – is it that straight forward? Will they not open for negotiation before they take legal action?